I had this old and ugly wicker chair for a long time, and yesterday i had an idea to transform it into something different. 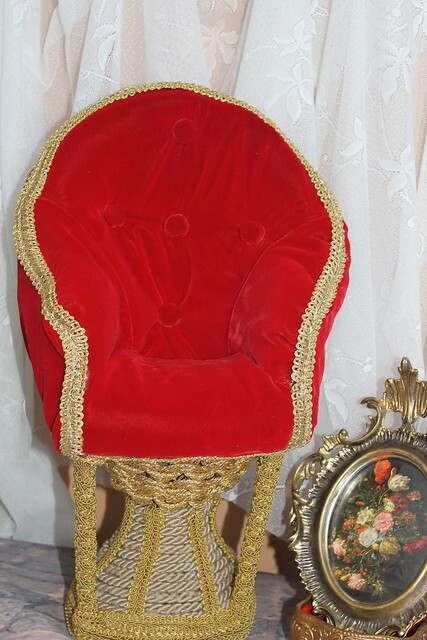 I used lots of pudding ( some fluffy material ) to cover the chair, and used a very vibrant red velvet to cover the chair. I also used lace in gold tones, to bring the red out. I think red and gold go very well together. It creates some regal effect. Because i am not good at sewing, i only used a glue gun. 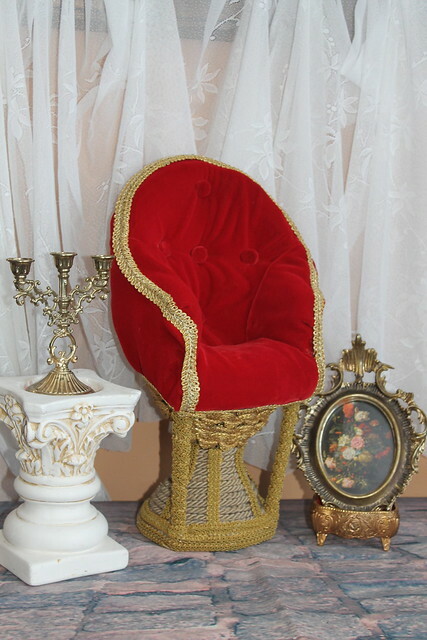 I did this chair for my future doll, who will have some red accents in her clothing, so i thought that this colour combination will work well for her. 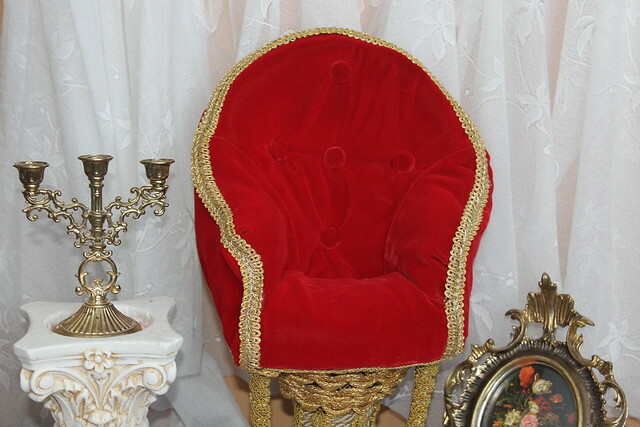 Anyway, the chair is not perfect, but i was interested if this type of furniture can be transformed into something totally different. Haha, I know exactly the chair this used to be. A huge improvement! It looks great! I like the style - I have a pretty good idea of what it looked like before too, this is definitely so much better!! 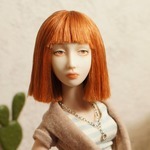 I have a big chair of wicker for my bjd's, it is a nice transformation. I have done this with plastic barbie furniture. It is always fun to make these little improvements.